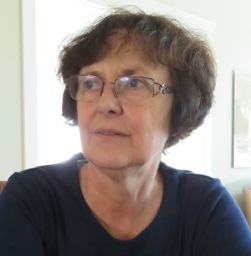 A former Latin teacher, Maryanne Hannan has published poetry in print and online journals, including Rattle, Sentence, Magma, Stand, Pirene’s Fountain, Christianity and Literature, Windhover and Gargoyle. She lives in upstate New York. Her website is www.mhannan.com. Geosi Gyasi: When did you begin to think of yourself as a writer? Maryanne Hannan: I accepted myself as a person who wrote for as long as I can remember. Primarily personal writing, but anything else required. For many years, that was sufficient, but in my 40’s, for reasons I still don’t understand, the urge to go public with my writing emerged. That was a difficult turning point, which also coincided with identifying myself not so much as a writer, but as a poet. I began to work hard at craft, to study contemporary poets, to reflect on what I could contribute and to be assailed with a whole new range of self-doubt. Geosi Gyasi: How many hours a day do you put into writing? Maryanne Hannan: The first thing that popped into my mind is what most writers say: Not enough. So, too, the second thing: Any day in which I don’t write is not as good as one in which I do. But to answer your question, it varies greatly. My father passed away a month ago, so I’ve been writing hours a day in my journal, trying to process everything that happened. For the past several months, I’ve been unable to step outside the stream of these events and write anything other than raw unprocessed thoughts. As above, the difference between writing for myself and writing for others. Geosi Gyasi: Having taught Latin at the University at Albany and Siena College, what is the relationship between language and writing? 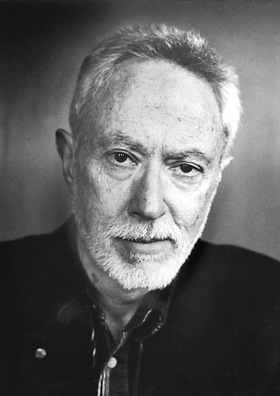 Maryanne Hannan: I’m not sure I understand the question, but I can say that knowing two languages, I suspect any two, enables a writer to understand the limitations of each language and also its glories. My first in-depth exposure to the thrill of poetry was Vergil’s Aeneid in my fourth year of high school. I fell in love with it. But meter in English has, at its base, the iamb. I think I will never be able to write a sonnet because I want always a dactyl, Arma virumque cano. The same goes for diction. The Latin derivatives are the much-maligned polysyllabics. To me, though, they carry their base along with them and thus retain their original “muscularity.” So my answer perhaps runs counter to what you might expect: Latin has not really helped me write good poetry in English, but it has provided an unquantifiable amount of enjoyment as I read and listen to the words of others. Geosi Gyasi: Is it difficult to learn Latin? Maryanne Hannan: No more difficult than the vaunted STEM areas of study, and a lot less marketable. I will say what I used to tell students. You have to want to learn Latin for something beyond expanding your vocabulary (a frequent reason students begin the class). It’s not a subject you can dabble in. The pay-off comes only after you’ve gotten beyond the basics. In my experience, students either love studying Latin or hate it. Geosi Gyasi: How did you begin to write, “To My Husband, Who 33 Years Ago Died AT The Age Of 33”? Maryanne Hannan: At the risk of seeming pompous, that poem was a gift. It pretty much poured out of me, exactly as the title announced. As I realized that my first husband had been a memory, partially in my care, for the same length of time that he had been himself, I suddenly stepped outside the experience and saw it. Geosi Gyasi: Did you write the poem, “To My Husband, Who 33 Years Ago Died at the Age Of 33” from a personal experience? Maryanne Hannan: Yes. My first husband died after a difficult five year battle with cancer. He was an extraordinary person, vivid and alive despite his travails. I always assumed he’d live forever in the memory of anyone who ever met him. To think of his memory fading was anathema. My daughter read this poem after it was published and wrote me: “My gut reaction, other than enjoying your humor through my tears, was that you didn’t really let that happen but you fought against it. Passage of time/undoing being what it is though, I can see it all ossifies. So, I guess that is what is so sad, too.” I answered, “The poem is a classic elegy, more about the loss created by time than any individual loss. You have to be healed to be able to write such a poem, but the opposite seems true.” My words ring hollow to me now. I don’t know if anyone is ever healed, because loss is ongoing, at the heart of life. I am remarried. My current husband knows of the existence of this poem, but has chosen not to read it. If I were to say to him, I would say the same about you, would that help? Geosi Gyasi: Is there a time you get bored writing? Maryanne Hannan: I tend to get bored if I’m writing to order. I’ve had to learn this lesson several times in my life. I can never generate anything authentic using prompts. I’ve recently stopped writing reviews, because I started to dread doing them. I began feeling as if I had already said what I had to offer. If I’m bored, then surely readers would be also. Geosi Gyasi: Do you care about the people who read your poems? Maryanne Hannan: Very much. I would never subject myself to the drudgery of submitting and the quasi-pain of frequent rejection if I didn’t care for readers. On the other hand, I don’t see myself as having a platform and developing a readership, as commercial viability would demand. I am content to get the poems out there and hope for the best. Geosi Gyasi: Do you think of your poem, “Let Me Tell You a Story That’s Not a Story” as a free verse? Maryanne Hannan: I think of it as a hybrid form, a prose poem. It is part of a series, written in this claustrophic voice, admitting no pause or line break. That voice is gone, and I miss her. She had started to repeat herself, so she is now for my ears only. Maryanne Hannan: I can tell you more easily what I should be working on: publishing a book. I have intermittently submitted manuscripts for publication, but I realize that I need to decide either to self-publish or be more dedicated in my submission efforts. I have been collaborating with my brother in writing song lyrics. Way over my head, but it is enjoyable. I am waiting for my next voice to speak to me, and, truth to tell, any poet is only as happy as the poem she is currently writing. Geosi Gyasi: Whom do you write for? Maryanne Hannan: I write for anyone who connects with the poem. After a poem is published, I don’t feel proprietary towards it. Well, I do, but ideally, I wouldn’t. In publishing a poem, I am sending it into the world where it will make its way, or not. If I’ve done the best I could with it, my job is over. Geosi Gyasi: Do you care about bad reviews? Maryanne Hannan: I’ve never been reviewed, and I don’t think I want to be. I write a lot of poems that are published in popular inspirational anthologies. Many of these poems would be easy to critique and be found wanting, but they are important to me. People come to poetry with all different needs and expectations. As above, if I have given from my best self, I am satisfied. If by bad reviews, though, you mean critical commentary from which I could profit, then I welcome it. I have a writing group that has provided invaluable input for years. Geosi Gyasi: What is the importance of poetry in the modern world? Maryanne Hannan: Poetry is a luxury and a necessity. I applaud anyone who shares poetry with children and old folk. Geosi Gyasi: What themes do you often write on? Maryanne Hannan: The themes in my poems are not mine to define. I know I value courage and human resilience, all the ways of restoring oneself and moving on after a crisis or even a tragedy. I have met many people whose stories are so sad, yet they have integrated their losses and endured. But I must beware of pat answers, any answers, in fact. I am interested in how religion collides with authentic human experience, specifically as opportunity and goad to life-affirming spirituality. The alternative is well-reported. It would be impossible to bring any such agenda into writing a poem because the poem would be dead before I began. But if I write enough and care enough, these themes might emerge. Geosi Gyasi: Do you care about humor when writing? Maryanne Hannan: Humor is divine. Geosi Gyasi: What should readers be paying attention to when reading your works? Maryanne Hannan: Whatever draws them in. I am humbled by how different readers see totally different things in a poem. Truly, once a poem is out there, I am no longer its arbiter. In writing a poem, more accurately, revising it, I am paying special attention to diction, loading my word choices so they are interesting/give pleasure on several levels, and endings. I am obsessive about getting the endings right. 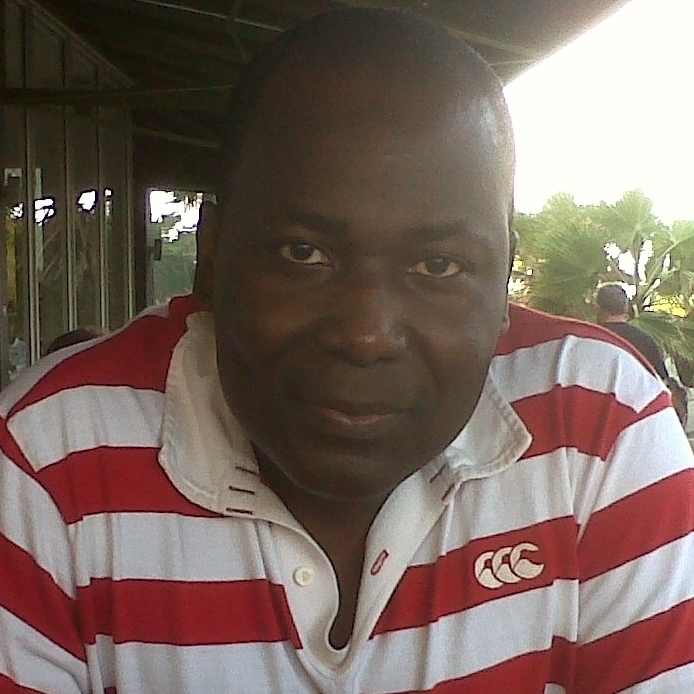 Geosi Gyasi: Which writers do you often like to read? Maryanne Hannan: I love to read. I go through phases. I used to read primarily novels, then I switched to non-fiction, and now I am reading both. About ten years ago, I decided that if I didn’t like a book, I didn’t have to finish it. I skim books at the library, and I buy books I want to read and think about. I usually have a pile of at least ten books by my bed. I am so happy to live among such bounty. And I read poetry in print and on the web. And subscribe to journals, including, of course, Rattle. It is important to support what you love. I know I am not answering your question, so I will say that my favorite poet is Gerard Manley Hopkins, and I have had the same book of his poems by my bed since 1965. Geosi Gyasi: Could you define your voice as a writer? Maryanne Hannan: Voice comes first for me. I have to hear the voice of the poem before I recognize it as a poem. Otherwise, it’s a journal entry. The voice of the prose poem series you mentioned is an ersatz version of myself. I am always embarrassed that people will mistake us for one. I have a series of responsorials to the Psalms. This voice is a naked, fleeting version of myself. I have to warn against identifying me too much with that voice also. This probably returns us to your initial questions. It was hard for me to go from years of private journal writing to the public arena. Both kinds of writing demand honesty, but the public arena demands courage and a ruthless humility. Geosi Gyasi: Do you have anything to say to end the interview? Maryanne Hannan: Thank you… Human attention is human intention is Value Added Treasure. This entry was posted on Sunday, November 16th, 2014 at 8:12 pm and is filed under Uncategorized. You can follow any responses to this entry through the RSS 2.0 feed. You can leave a response, or trackback from your own site.